I got back from New York on Saturday and I’m already thinking of planning my next trip, I’d been to New York before but only in passing for shopping after I finished Camp America, so the last week there really was amazing – so much sightseeing, shopping and food! I can’t wait to share with you all of my pictures in a travel post, and most importantly what I bought! 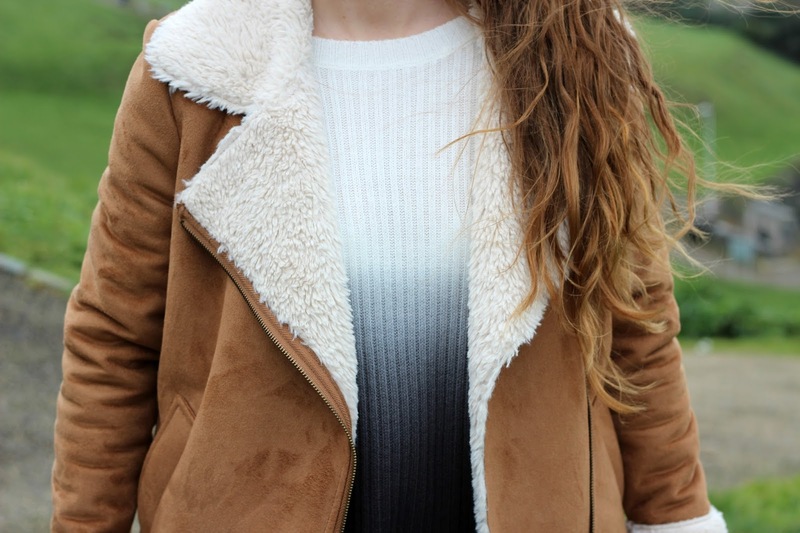 Anyway, I have been meaning to share this look for a while now, I am obsessed with ombre and gradient colours on clothing, and this jumper from Topshop nails the trend perfectly. 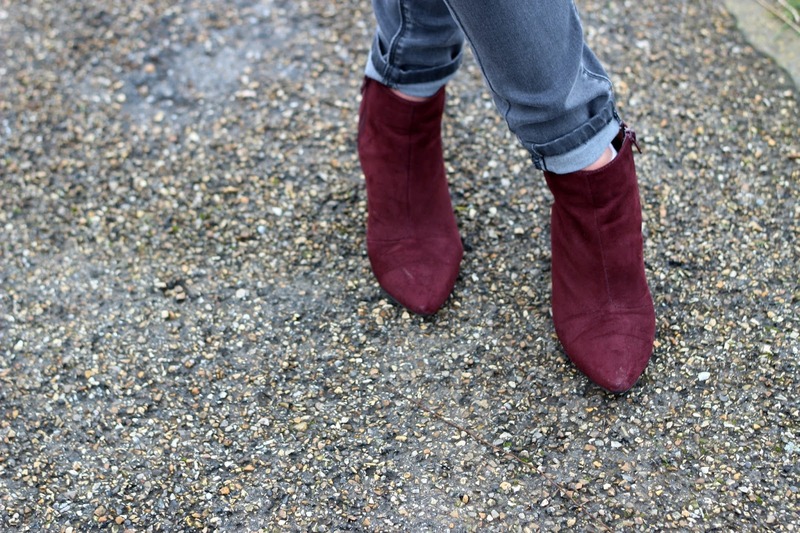 With a white upper leading into a dark grey, it looks perfect with dark bottoms but could also look good tucked into a pastel skirt or pair of jeans. 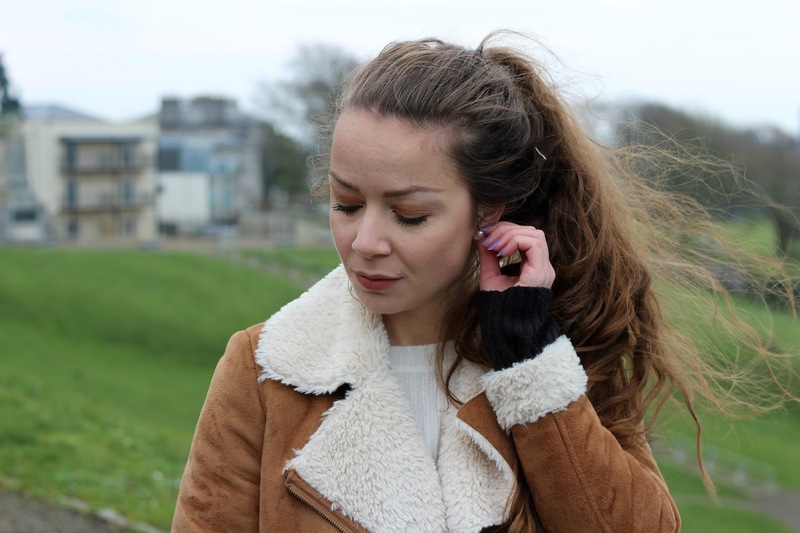 It was a super cold day when I shot these pictures so I finished the outfit off with this super warm shearling jacket that is now coincidentally in the sale in New Look!